I love cooking with eggs, one single egg is packed with nutrition. A single egg has 6 grams of protein including all of the essential amino acids, 13 vitamins and minerals, and DHA omega-3 fatty acids. Few other foods could boast such a high nutritional density. There are many ways to cook up an egg, one of my favorites is making a quiche. 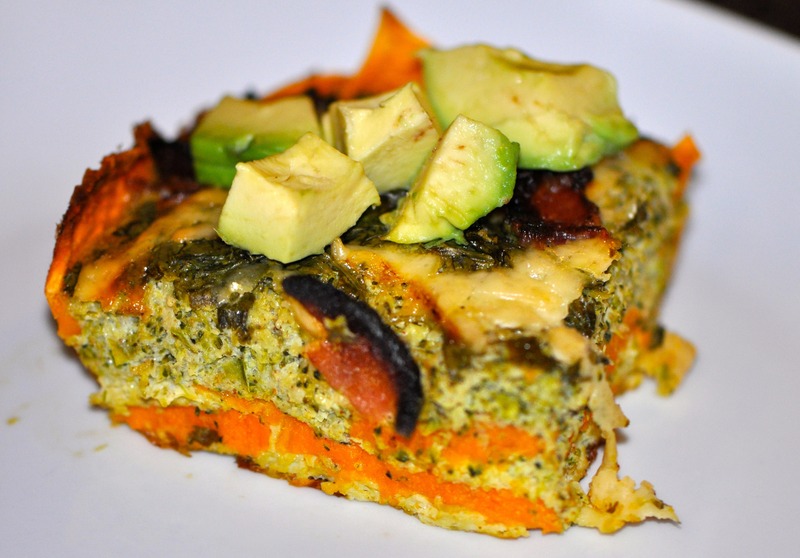 This quiche is one not to miss baking sometime this week. It’s easy and oh so delicious! 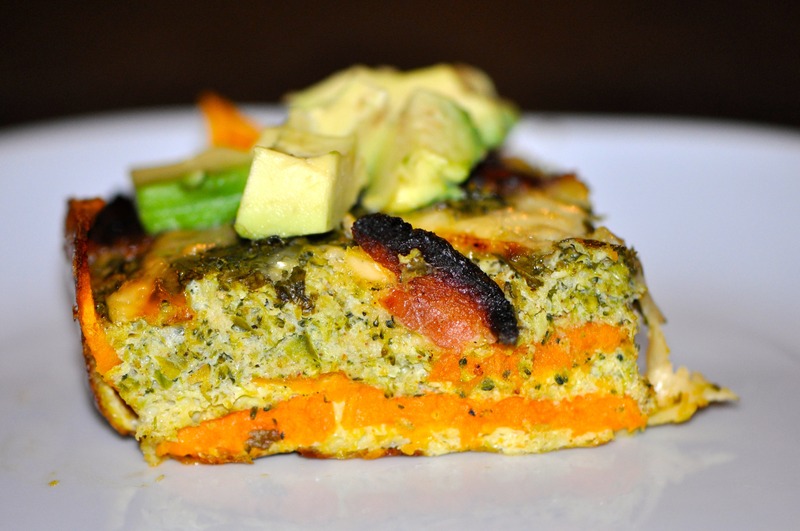 I loved using sweet potatoes as a substitute for the crust. Get rid of the pastry crust and try something healthier. This also makes a great breakfast and lunch option. Pre-heart oven to 400 degrees. Lay potato slices in casserole dish in a crust-like fashion. Coat the top of the sweet potatoes with 1 tablespoon of olive oil. Heat 1 tablespoon olive oil. Sauté onions, garlic, and bell peppers until lightly browned. 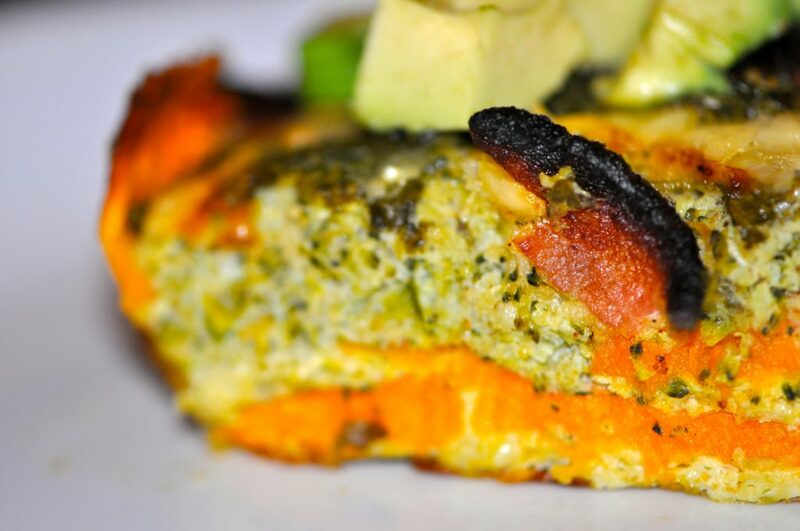 Blend eggs in a blender until mixed throughly, then add broccoli and spices, pulse 5-10 times. Add everything else together in a large bowl. Place the combined mixtures on the potato crust. Sprinkle with cheese on top. In a 375 degree oven, bake quiche until firm and the cheese has browned, about 40-50 minutes.